Airports can generate large volumes of surface traffic. The implications of this in terms of traffic delays, congestion, local air quality and human health are significant and need to be factored in when planning future airport provision. However, one group of people tends to be overlooked when calculating journeys to and from airports: those meeting and greeting travellers. In the UK, as elsewhere, most trips to and from airports by passengers and staff are made by private cars. 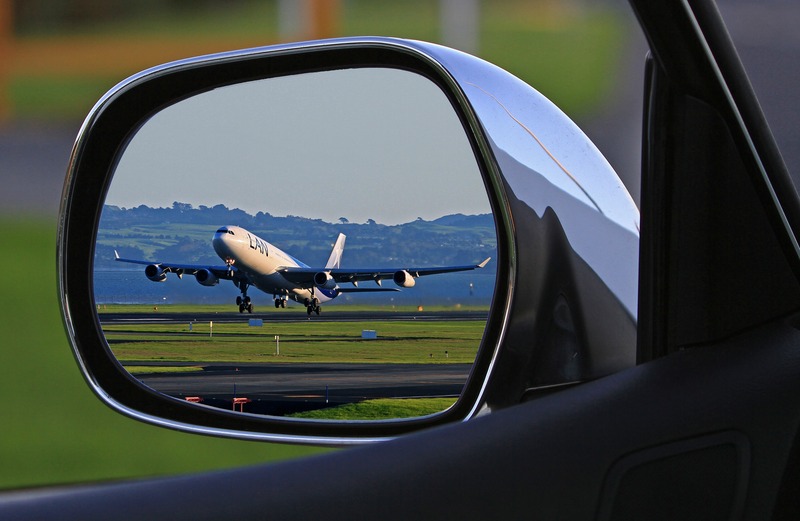 At the UK’s two largest airports, Heathrow (73.1 million annual passengers) and Gatwick (37.9 million annual passengers), private cars represent 58.6% and 58.3% of the mode share, respectively (CAA passenger survey report, 2015). In addition, many airport passengers will be accompanied by friends or relatives, who wish to either wave the passenger farewell or greet them on their arrival. These ‘meeter-greeter’ trips can increase car journeys to and from airports and exacerbate existing traffic problems, as passengers will typically be dropped-off and/or picked up at the airport in a private vehicle. In the above example, up to four vehicle journeys are generated to and from the airport, compared with two journeys if the passenger had parked their own vehicle at the airport during their trip. Relatively little is known about these ‘meeter-greeter’ journeys either in terms of the scale or nature of their existence. Research conducted in the Centre for Air Transport Management at Cranfield University is attempting to shed light on this ‘hidden’ element of airport travel. An exploratory examination of the issue found that major airports can generate as many additional ‘meeter-greeters’ as some regional airports do passengers (findings from which were recently published in the ‘Journal of Air Transport Management’). For example, at Heathrow the annual number of ‘meeter-greeters’ generated is equivalent to the number of passengers at the 11th largest UK airport, East Midlands Airport. The research also highlighted the disproportionate impact of multi-person trips, where a number of ‘meeter-greeters’ (in some cases five or more people) accompany a passenger. Other differences included those between a passenger travelling on business compared with those travelling for leisure purposes. While this has important implications in terms of environmental impacts and traffic congestion, it is also significant when planning future airport facilities and key infrastructure. Projects are typically thought of in terms of the number of passengers accommodated. It is also important to consider that this will not represent the ‘true’ impact of these facilities in terms of likely surface transport provision. With issues of airport expansion and a new runway in the south-east of England remaining close to the top of the public and political agenda, it is important that issues relating to airport surface access, and the role of airport ‘meeter-greeters’ in particular, take a prominent role in this debate. Dear Dr Budd, do you think there is any correlation between meeters/greeters and saboteurs? Maybe keep meeters/greeters away from airports? Thanks for the question, Paul. As far as I am aware there is nothing to suggest that meeter-greeters pose more or less of a security threat than other airport users, so I think it is unlikely that airport operators would go down this route on safety grounds.